Mid-way through the year, something unexpected happened with Uber "the largest startup in terms of valuation. It gave up in the world's most populous country. In an apparent move to stop a bloodbath in terms of losses, US-based Uber Technologies Inc, co- founded by Travis Kalanick, agreed to sell its China business to home grown rival Didi Chuxing. That made India, the second biggest market for Uber after the US the focal point. It was the biggest highlight for Uber in India in year 2016. The San Francisco- based firm, which is valued at around $69 billion, made it clear that the China deal will allow it to invest more into India. Citing a 7 September letter written by Uber to its investors, Reuters reported the company as saying that India is now its largest market outside of the US and accounts for 12% of all Uber trips globally. "Some of our fastest growth is in India, and the merger with Didi frees up resources for additional investment in our customer experience and technology there," it said. That must have sent a chill through its competitor in India - Ola, run by ANI Technologies Pvt Ltd. Uber in 2015, had already pledged investment of $1 billion into the India market. "This year, they made a very promising noise for the country. Uber came out in the open and said 'India is important for us.' China did not work out for them as they would have wanted to. They have taken a slight beating in China. They have been hiring, Travis (Kalanick) himself met Amitabh Kant (CEO of India's economic development body NITI Aayog). These are all positive messages they are giving out for the country," said Sanchit Vir Gogia, chief analyst at Greyhound Research, an IT and telecom research firm. Ola, backed by Japanese telecom and Internet conglomerate SoftBank Group Corp, claims it has a share of about 80% in India's cab-hailing market. Uber, however, disputes this number. In June this year, Amit Jain, country head of Uber in India had told The Economic Times that Uber in India is as big as Ola in terms of market share. "We are as big as Ola with a 50% market share (in terms of trips completed by the two companies)," he had said. Uber had already done something extremely India specific. For the first time globally, it introduced cash payments, in May 2015. "The past year was critical for Uber from a perspective of acceptance by customers across India. Even though there was backlash on the surge pricing model, the company seems to have developed a large driver base and innovative inventive models for drivers. Alliances with wallet companies have been a key aspect of adoption considering the cash backs enjoyed by the customer," said Sreedhar Prasad, partner at management consulting firm KPMG. In this year, Uber ramped up its hiring across categories. The number of employees has grown almost eight times over the past year, from 80 to more than 600 now, Pradeep Desu, head of recruitment at Uber India, had told Techcircle, in September. Uber broke convention in June last year when it appointed Amit Jain from Renti.com as president and India head, a first-of-its-kind position in any of its markets. Manish Singhal, founding partner of venture capital firm Pi Ventures said, "Ola is the leading competition for them. They will need to continue to adapt the product to Indian market needs to stay competitive. Both companies are losing money and will need to figure out a way to profitability in due course. As an investor, I am always concerned about companies who are losing money on every transaction. With the leaky business model, it will be interesting to see how they continue to build their respective market share." Uber India plans to have two lakh passenger vehicles in India in the next two years, according to a report in The Economic Times. Uber India didn't respond to a Techcircle mail seeking comments on its expectations about next year. "Uber India has to expand its operations to more number of cities, especially tier I and tier II cities where there is a huge market potential. This market is still very cost competitive and the motto to succeed is to offer a better service at a competitive price," said Hema Doreswamy, faculty of finance at Welingkar Institute of Management Development and Research. She added, "The customer base in this market is diverse. Different income groups, different age groups, different purposes, large areas to cover makes the market fragmented. It is also a unique business opportunity in a way as there is a scope to come up with new services." But both Uber and Ola have been facing regulatory setbacks for a while now. UberMOTO, Uber's bike sharing service, was launched in Bengaluru in March this year, but had to wind up soon because of regulatory problems. Karnataka government cracked down on the two companies on the ground that as per the Motor Vehicles Act, 1988, enforced in the state, a two-wheeler is considered to be a private means of transport and that bike taxis needed to be licensed for commercial use. Like in Bengaluru, Uber had to suspend UberMoto in Bangkok, Thailand, too, due to government intervention. UberMoto was launched in Bangkok in May for the first time, globally. Uber had launched its bike-share service in Gurgaon in the National Capital Region in March and in Ahmedabad in May this year. In Ahmedabad, the pilot was launched at Rs 2 per kilometer but it didn't last long. Globally, however, Uber is still losing money. A Bloomberg report in August said that the company lost more than $750 million last quarter, and $520 million the quarter before. "With Ola having a 75% market share with presence in 100 cities in India, the clear goal for Uber India in 2017 would be to displace Ola as the number one cab service provider in India while becoming profitable on their own, using innovation and technology instead of relying on its parent company's financial strength to eliminate local rivals," said Devendra Agrawal, founder and chief executive officer of investment bank Dexter Capital Advisors. Agrawal added, "Travis (Kalanick) has made notable efforts to woo the top brass of the Indian politicians & celebrities in order to acquire their endorsements for Uber through which he hopes to gain traction of the masses. Also, recent surveys, though not comprehensive conclude that Uber beats Ola comfortably in terms of customer satisfaction and ease of use." But the new taxi operations guidelines prepared by the central ministry of road transport and highways, which came out in the last month of 2016, may provide a crucial breather for taxi aggregators Ola and Uber. In its report submitted to the Delhi High Court, the Ministry of Road Transport and Highways strongly recommended removal of restrictions that prevents taxi operators hiking prices during peak hours. 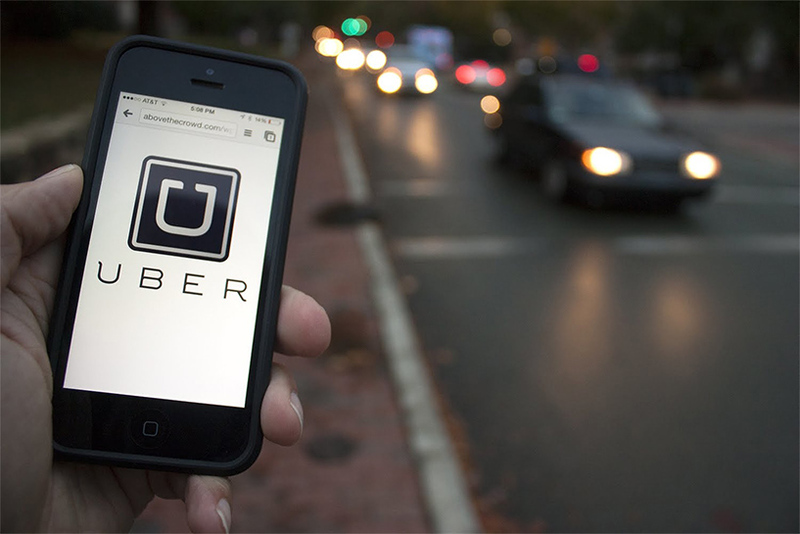 Despite everything the year gone by was fairly advantageous for Uber's India operations.